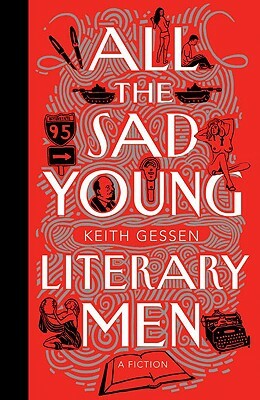 Keith Gessen is a Brave and trenchant new literary voice. Known as an award-winning translator of Russian and a book reviewer for publications including The New Yorker and The New York Times, Gessen makes his debut with this critically acclaimed novel, a charming yet scathing portrait of young adulthood at the opening of the twenty-first century. The novel charts the lives of Sam, Mark, and Keith as they overthink their college years, underthink their love lives, and struggle to find a semblance of maturity, responsibility, and even literary fame. Keith Gessen was born in Russia and currently lives in Brooklyn. He was educated at Harvard and Syracuse. He is a founder of the magazine n+1 and translator of the National Book Critics Circle Award-winning Voices from Chernobyl. His work has also appeared in the Dissent, the New Yorker, and the New York Review of Books. All the Sad Young Literary Men is his first book.